Who said “April is the cruelest month”? Actually, it was T.S. Eliot, and whatever whoever thinks he meant by it, let us agree that it was poetic opinion, not fact. For my money, January in Wisconsin, could easily win the dampening-of-the-spirits prize. At least with snow, now that it has finally arrived, amplifying reflected light and literally brightening things up, it finally "feels like" winter. Enjoy it while it lasts. And don’t fear the freezing temperatures, either. How else to preserve the time-honored tradition of Lake Mendota ice boating (sooo fast, sooo last century). So “buck up, Buttercup.” There’s plenty of work that needs doing, and after a day of that, plenty of occasions for patronizing the musical arts and the taverns that host them. Examples below. 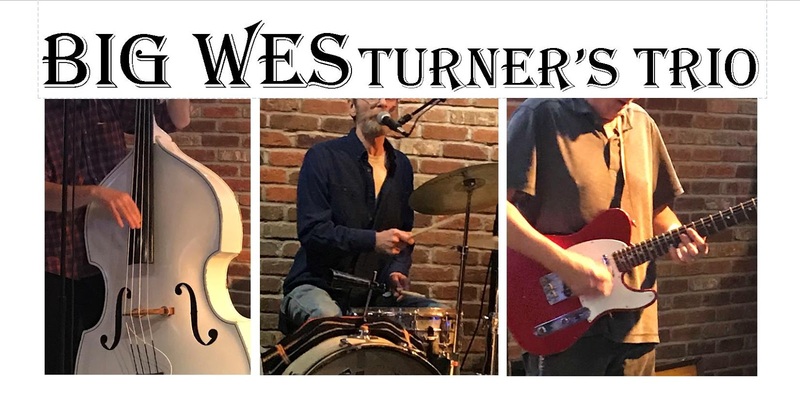 Big Wes bassist Tom joins forces with Jimmy Voegeli and Perry Weber (of The Jimmys) for an evening of rowdy blues hosted by drummer Tony Wagner, all part of the Wednesday’s With Wags series at TheWheelhouse in Waupaca. The Sparks Band, minor masters of 60s nostalgia, rock out early at The Atwood (on Atwood Avenue) starting at 8 pm. Again, with The Sparks Band, plectruming playfully whilst the beer pours at Vintage Brewing in Sauk City. On the shores of the mighty Wisconsin river. Early evening pm. The brewery tour continues as The Sparks Band rips riffs nostalgically The Great Dane Hilldale on Madison’s fashionable near-west side. 8 to 11 pm. The Cashbox Kings help Porchlight raise funds with a pre-Mardis Gras party! Sample delicious dishes from great Madison restaurants while listening to Chess Studios-era Chicago Blues on the University of Wisconsin-Madison campus. Laissez les bon temps rouler! Contact Porchlight to get tickets for this annual event. Madison’s musical A-Team, The Maintainers (featuring Frankie Lee on harmonica and Mel Ford on guitar) play for keeps at Chief’s (right across from Buck’s Pizza on Cottage Grove Road). 6:30 to 10:30. The Cashbox Kings bring authentic Chi-Town Blues sounds back to that venerable of east-side dives, The Crystal Corner Bar. 9 pm. Calling all Parrotheads! That other venerable east-side eatery/drinkery, The Harmony Bar & Grill, hosts a fundraiser for WORT Backporch Radio. Waste away to the Jimmy Buffett-esque sounds of Chuck Bayuk & the Drunken Sailors (Tom on bass, but drunken responsibly). The Sparks Band slathers on the sounds of the 60s at Me&Julio on Fish Hatchery Road in Fitchburg. 6 to 9 pm. Turner returns! Big Wes Turner’s Trio (the biggest little band in Madland) plays Rockin’ RHYTHMN & Swingin’ BLUES for “Happy Friday” at the High Noon Saloon. Can you say, “It’s Madison time!” 5:00 to 7:00 No cover. Lotsa beer. Check back for more March dates and late-breaking McMusical news. Note: Big Wes Turner’s Newsletter has an amazing new option: POSTCARDS! Whaaaaa? Yeah, you heard right. Most well-informed Turnerites receive their sporadic action updates via email, but now they can alternately (or additionally) get a scrap of cheap cardboard with information scribbled thereupon... FOR FREE!!! Just ask. 'Nother Note: BWTN postcards are redeemable for a drink wherever Big Wes Turner’s Trio is found.